Superdry women’s Vintage logo sequin hoodie. Add some sparkle to your wardrobe with this soft hoodie. 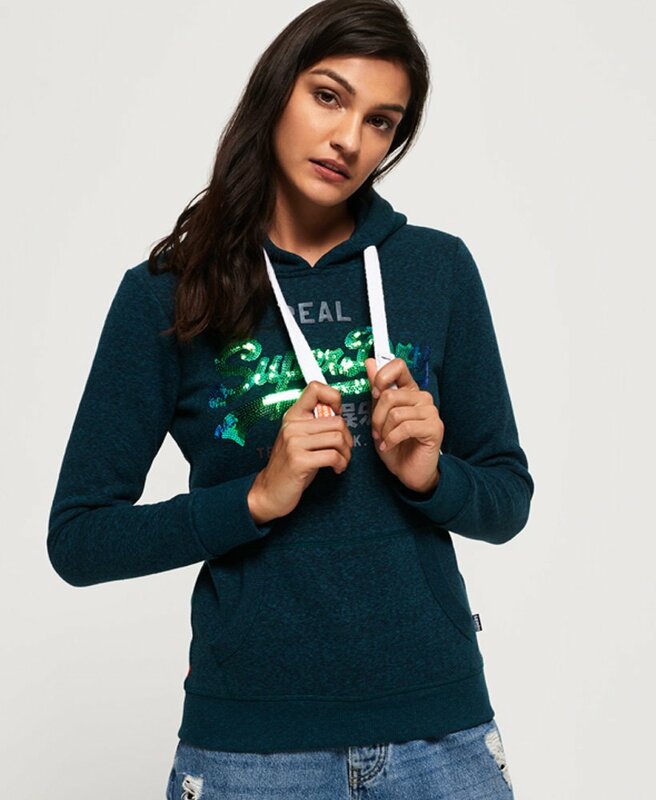 This drawcord hoodie also features a front pouch pocket, ribbed hem and cuffs and combination of sequin and high-rise glitter Superdry logo. For finishing touches the hoodie has a logo tab in the seam.